As a Program Records Coordinator with Family Home Agency, a partner of California MENTOR, you’ll be one of those extraordinary people. 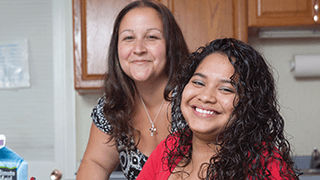 This position supports individuals we serve in residential settings. The Program Records Coordinator compiles, verifies, types and files client records. This individual will respond to requests for medical records and perform other assigned clerical duties. Bring your creative ideas and your passion for success; we’ll train you on the rest. Do you have experience working with people with intellectual and developmental disabilities and looking for a meaningful change in your work life? Leverage your skills with California MENTOR to make an impact in people’s lives. Join our dedicated, dynamic and fast growing team today! Initiates records for new clients and creates computer index. Prepares file labels and maintains and audits filing sequence. Assists in copying and distribution of record information per policy. Sends and receives information via facsimile machine. · Operates computer to enter and retrieve individual data. Maintains forms supply, including packet preparation. Reviews clinical documentation prepared by program staff to ensure that timecard and clinical documentation coincide. Ensures accuracy of all data. Provides appropriate and timely follow-up and tracking as needed. Forwards appropriate documents and information to other program staff upon request. Assists individuals on the phone daily and provide assistance when individuals are in the office. 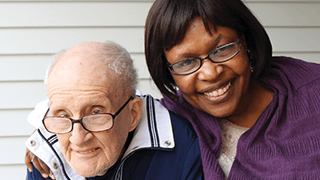 Provide transportation to individuals receiving services when needed. We have a great work environment and you'll be surrounded by a strong and supportive team of peers, leaders and colleagues. 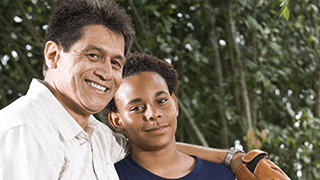 Family Home Agency is a partner of California MENTOR and The MENTOR Network. The MENTOR Network is a national network of local human service providers offering quality, community-based services. With approximately 28,000 employees serving 25,000+ consumers in 36 states, you'll have career opportunities from coast to coast. When you join The MENTOR Network, you'll make a difference every day and help to provide quality of life enhancing services to individuals across the country.